Enjoy your next ATV adventure at “OLE LODGING”, located at 564 River Road, Pineville, WV 24874. We now have 5 units that range from 2-7 bedrooms, to accommodate a group of any size! We have plenty of parking for multiple trucks and trailers. 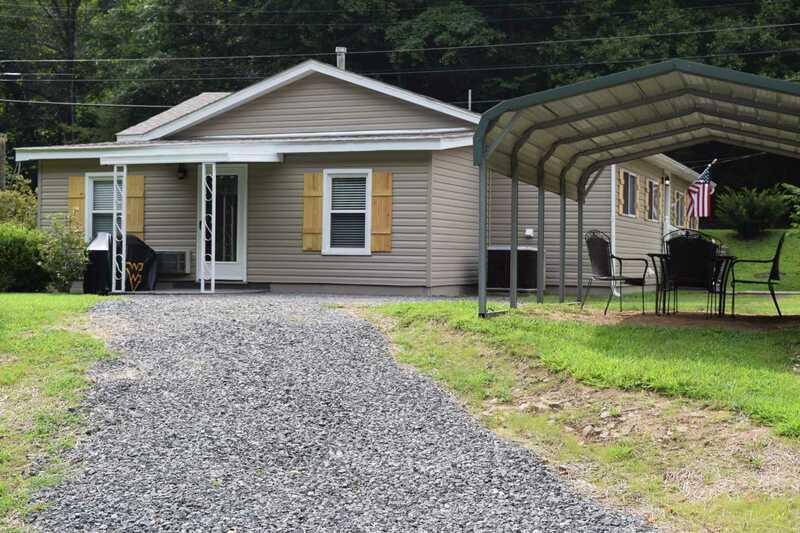 Our just newly completed 5-star fully furnished lodge is conveniently located in the ATV friendly town of Pineville, WV. You are welcome to ride your ATV to the Hatfield McCoy Pinnacle trailhead or along the towns many businesses which includes; 8 Restaurants, 3 Sports bars, Gas stations, Grocery stores, Doctors offices, Pharmacies, General stores, Banks, Auto parts and Sporting goods store . The historical town is the county seat of Wyoming County an easy 45 minute drive from Beckley, WV. Twin Falls State Park and golf course is 15 minutes from town. Ole Lodging is next to the Guyandotte River where fishing is allowed with permit or bring your kayak or raft. Please contact us with any questions about your next trip and to make reservations.